Click HERE to apply to work with me. Free trial sessions currently available if you haven’t done a Squad session previously, get in touch for more info. 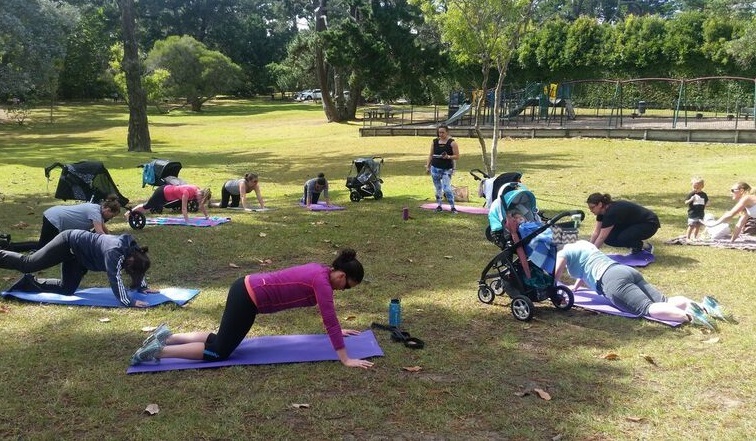 This is not your typical bootcamp so don’t be scared! This is GROUP PERSONAL TRAINING. Whatever your level, whether you’re new to exercising or experienced, you’ll get a great workout that suits your needs. Then the Creative Action Squad is for you! Join Ange Noy in New Lynn and get ready for varied exercise classes with plenty of positivity and support! Having worked in the fitness industry as a personal trainer for almost 10 years and now as a qualified yoga teacher, providing a positive exercise experience that helps you achieve your goals is my top priority! For anyone who is new to exercise, has injuries or medical conditions that may affect your ability to train, alternatives can be provided if need be during a session. If you are currently pregnant or have recently had a baby, I am a qualified prenatal and postnatal yoga teacher with an excellent understanding of what happens to the body during and after pregnancy, and how to train you safely. Please let me know in advance if you fall into any of the above categories so I can have a chat beforehand to discuss your plan of action. At times I may need another trainer to cover sessions. In this instance they will be taking a lesson plan I have created and be someone I trust to guide you through your workout safely! All classes are 45 minutes in duration including warmup and cool down. I will always aim to hold these outdoors at Shadbolt Park (Portage Road in New Lynn) or Crum Park (Hilling Street in Titirangi). It’s important to book into sessions you want to attend so I can contact you if we need to shift! Classes are subject to change and weather conditions; I will always try to source an indoor/undercover location if necessary or provide alternative online training (but a little rain won’t hurt!). Because of this, limited spaces available for each session so bookings are necessary. Fun and challenging training sessions to improve fitness and strength, tone up, increase mobility and improve core strength. These sessions are varied so over time you’ll experience a range of workouts including boxing, bodyweight training, interval training/HIIT, equipment circuits, along with yoga and pilates-inspired movements. Get in a great workout by punching and kicking your way through 45 mins of fitness boxing and HIIT exercises to improve your cardiovascular fitness, improve strength and increase muscle tone. Also great for stress relief 😉 No equipment necessary, all boxing gear provided, though if you have your own wraps and gloves you’re welcome to bring them. Low impact flow classes to help improve your flexibility, manage stress and anxiety, strengthen and tone muscles, improve posture and enhance mental focus. Bring along a yoga mat and find your inner peace. Please note this is a child-friendly session so it may be more playful than your average yoga class! For everyone with a current Squad membership, there are a number of 6-week challenges held throughout the year that focus on healthy habits and positive changes when it comes to fitness, nutrition and wellbeing. If you’re a current member, you will find information on these in email newsletters and on the private Squad Facebook group. If you’re not a current member, these are great opportunities to give the Squad sessions a go and see if it’s right for you! Occasionally I may hold popup sessions or special blocks of training, one-off events or workshops. Keep an eye on the Creative Action facebook page or the news page on this website to stay in the loop! For Squad members with 1 session p/wk memberships, booked sessions can be shifted to any other session within that same week. There’s nothing more fun than getting social with your training. 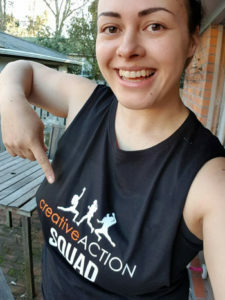 I appreciate your ongoing support, so for each new person you get to sign up to a Creative Action Squad membership I’ll give you a reward as a thankyou for referring them! One referral reward per new member signed up (cannot be claimed for the same member on subsequent enrollments). Referral will be valid after newly referred member pays their initial registration fee and membership package. They must name you on their form at time of registration. Click HERE to apply, or REGISTER your interest now to secure your spot! PLEASE NOTE: When first joining, memberships may need an additional prorated payment to allow you to start right away. Monthly memberships are due on the 1st of each calendar month. Weekly memberships are due each Monday. See here for full Terms & Conditions and cancellation policy.